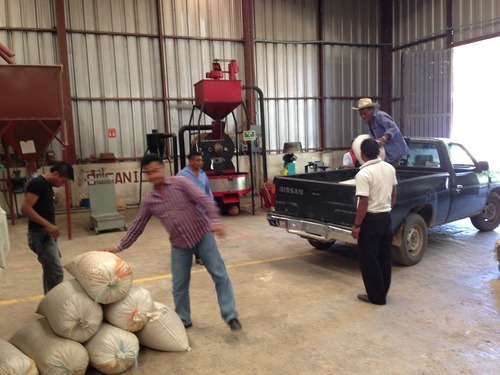 The dry mill is where the farm holder families that grow and wash their coffees bring them to be dry milled. 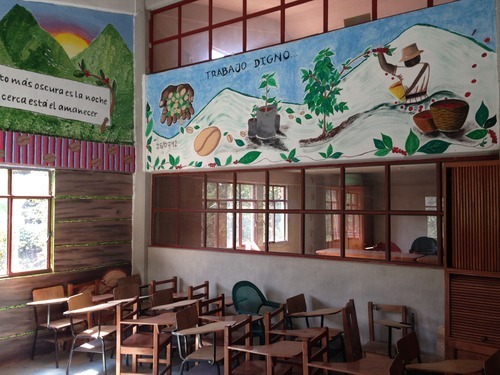 This mill has a 2nd floor training facility and housing for coffee pickers and mill workers. 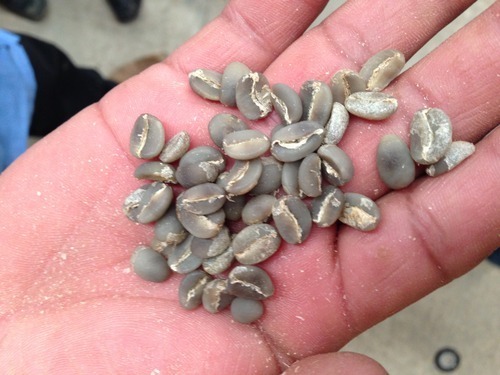 Here I met one of the growers, Alfredo and his family and saw coffee parchment drying on his patio near the beneficio. The coffee of Majomut grows from 1,000 – 1,700 meters and the varieties are Typica, Bourbon, Mondo Novo, Maragogype, Catura and Garnica. 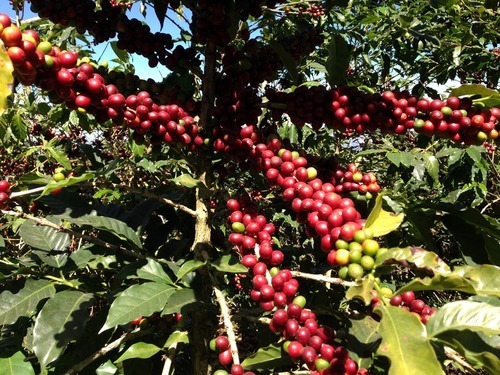 The coffee is harvested from November thru March and then exported nearly year round. 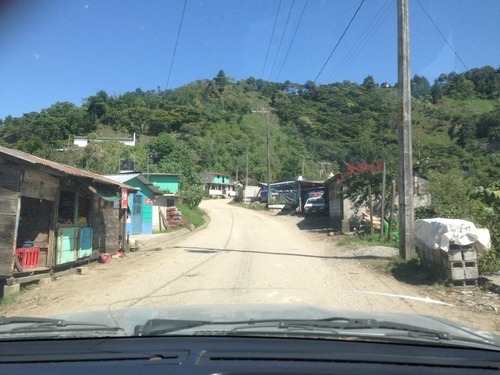 This trip was significant because it begins our relationship with a longstanding growing community and a coffee we found to offer complete consistency and clarity in the cup. The exciting aspect of this coffee is that it’s quality does not give way when it comes to volume. 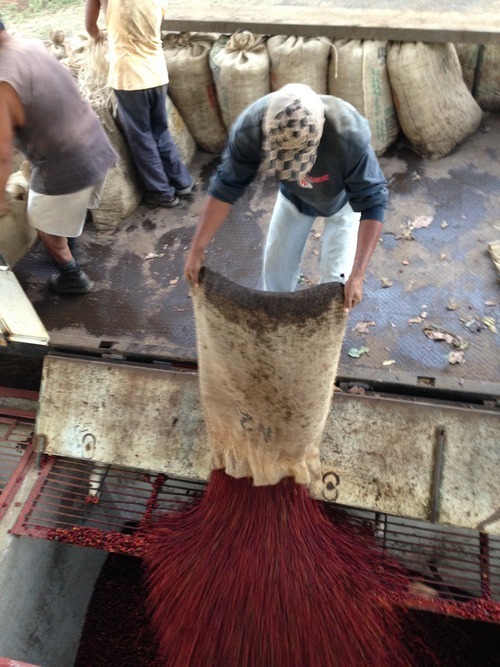 All of the cherries are handpicked and milled at the farm-holder level then selectively processed at the Beneficio. The pride of the small holder growers is clear in this growing region seen through the improvements made by Union Majomut and knowledge of the farmers that their quality stands out from other growing regions and coffees. The coffee of Union Majomut has a bright acidity, caramel and brown sugar tastes and has a pleasant body that leaves a lasting finish of honeysuckle. Following my visit to Mexico and after a 2 day bus ride from Chiapas, to Tapachula, to Guatemala City I then arrived in Santa Ana, El Salvador. Being back in Santa Ana left me way more nervous than I had thought. First, I visited Finca Santa Elena, Don Fernando Lima’s farm, then to San Carlos and finally to Finca La Miravalle on Santa Ana. 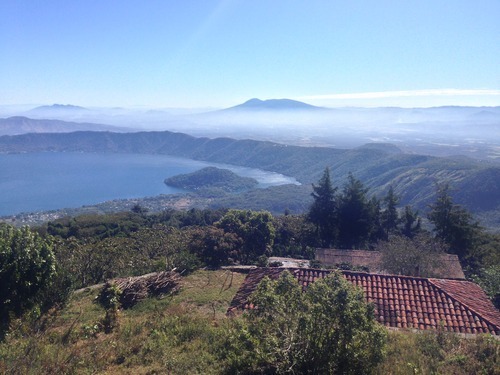 Santa Ana volcano overlooks the beautiful Lake Coatapaque and offers not only a great view, but provides nutrients to the already rich volcanic soil of these farms. 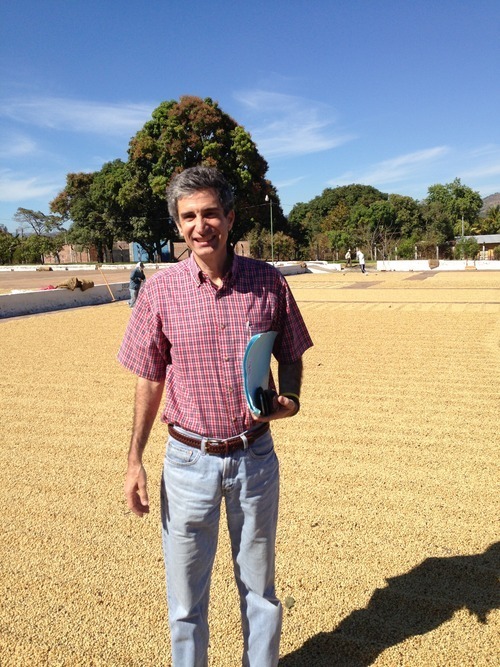 We established our relationship with Fernando Lima at Cuzcachapa Coopertive 3 years ago on an importer trip. The harvest period is in full swing and the growers and pickers are readying the different coffees for processing and selection. At Cuzcachapa we cupped 19 coffees including several from Santa Ana volcano. Our relationship with Fernando has continued to grow from his semi-washed coffees of Santa Elena and San Carlos last year. 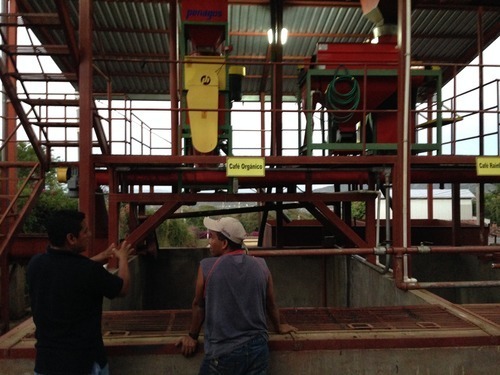 I visited Fernando’s micro mill where coffees from Santa Elena were being washed after the days picking. Fernando is preparing this years harvest into 4 different offerings and we are very excited to announce selections later this year. At the mill coffee is pulped two different ways and also dried 2 different ways. First the coffees are pulped and fully washed then dried on either the drying patio or the raised screen beds. Additionally, coffees can be pulped but left without a full washing to become semi-washed leaving on some of mucilage and drying on the patio or raised screen beds. Depending on the the drying method, the peripheral of the coffee profile can be greatly impacted and from the early cupping it’s clear that this years coffee will be some of the best we’ve seen thus far from Santa Ana.